November is finally here! Do you know what that means?! Thanksgiving is right around the corner! Just when you finally get the kitchen cleaned from all the baking and eating, Christmas quickly follows. Why am I telling you this? It is time to meal plan for the holidays! Don’t fret! I got you covered. A while ago, I shared my Instant Pot Green Bean recipe which, if I say so myself, is quite tasty and super easy to make! 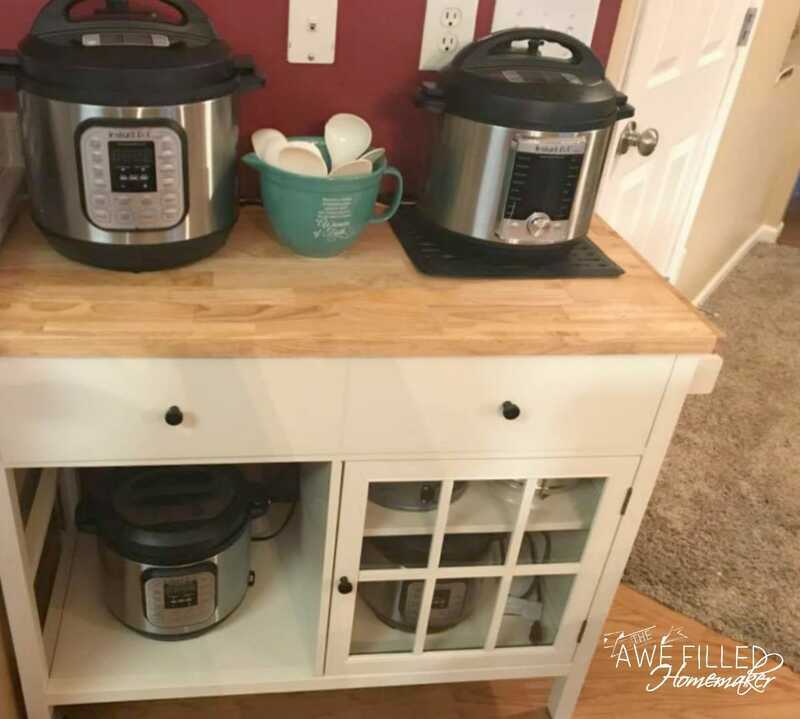 I also shared how to make turkey in your Instant Pot and Air Fryer! I’ve been sharing recipes I think meets everyone’s taste. If you like yams, I have those. What about pumpkin pies? I have an Instant Pot Mini Pumpkin Pie recipe. However, there was still something missing from my stash. Actually, there are a few things missing which I hope to share with you THIS week so you have plenty of time to prepare! 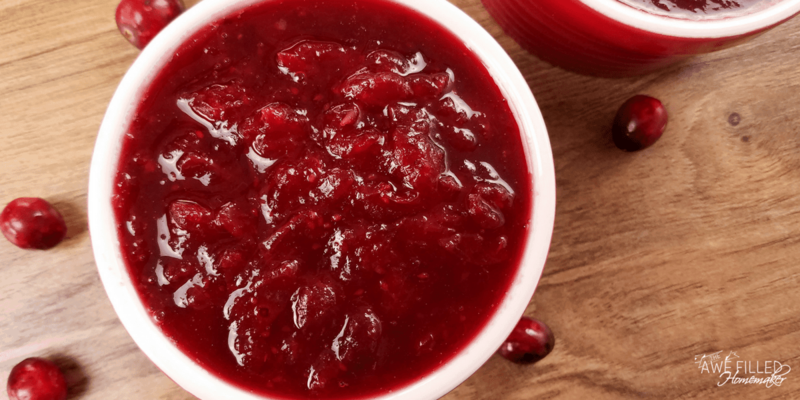 Anyway, back to Cranberry Sauce! 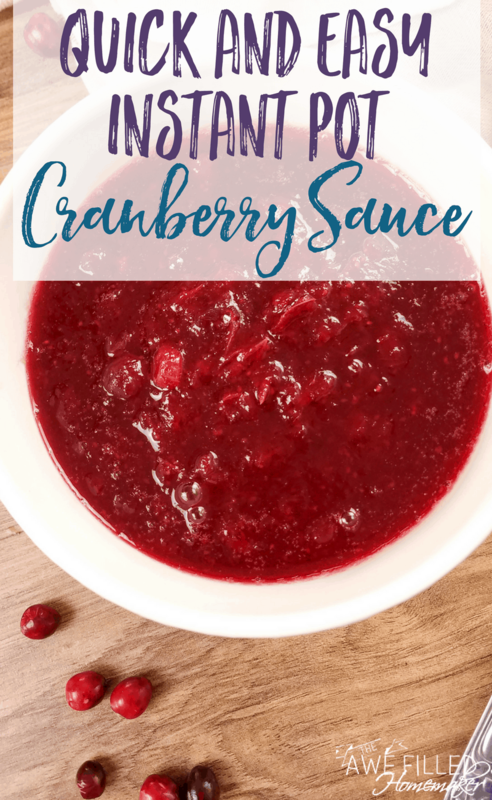 I love Cranberries and nothing says Thanksgiving and Christmas meals like Cranberry Sauce. However, I cannot fathom the taste of cranberry sauce from a can. I won’t eat it. I refuse to eat it. What exactly is that blob of red goo that oozes from the can? How can you even make it look presentable? What about the ingredients? This stuff is made to sit on grocery shelves for months at a time and it’s packed with high fructose corn syrup. 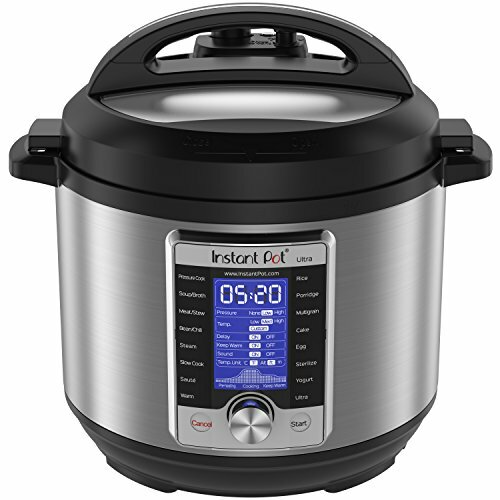 However, I do know what I am putting into my Instant Pot when I cook at home. I can ensure you it’s not coming out of a can! 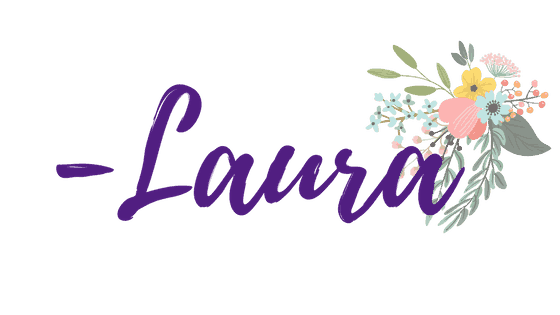 This is another reason I decided to make my own. This particular recipe uses natural ingredients, including honey for the sweetener instead of artificial sweetener found in a can. Besides, everything tastes better when it starts in the kitchen from scratch. 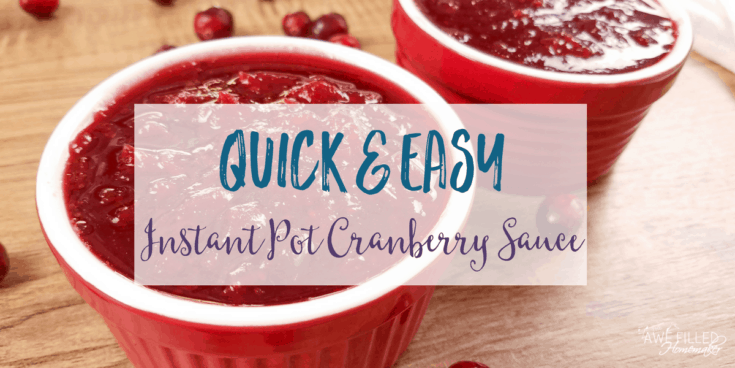 Grab your ingredients and your Instant Pot and let’s get cooking! 1) Whisk together the water, honey, and lemon juice in the Instant Pot insert until honey is dissolved. 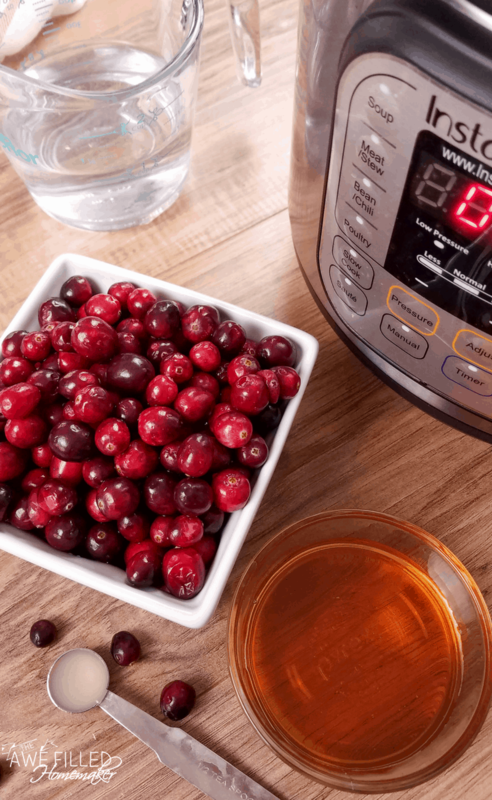 2) Add the cranberries to the Instant Pot. 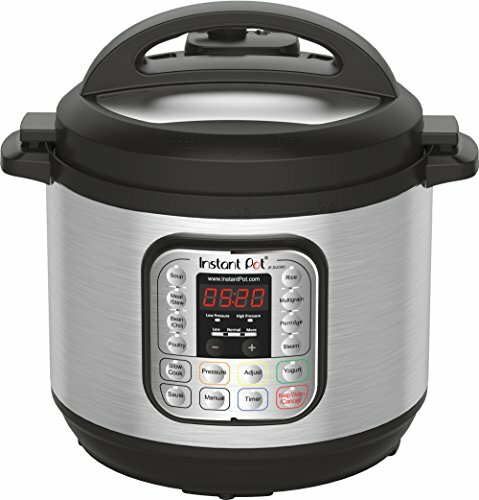 Close the lid, turn pressure valve to sealing, and cook on high pressure for 1 minute using the manual function. 3) Let the pressure release naturally. Remove the lid and drain half the liquid, reserve liquid to add back later if desired. Mash the cranberries in the pot. 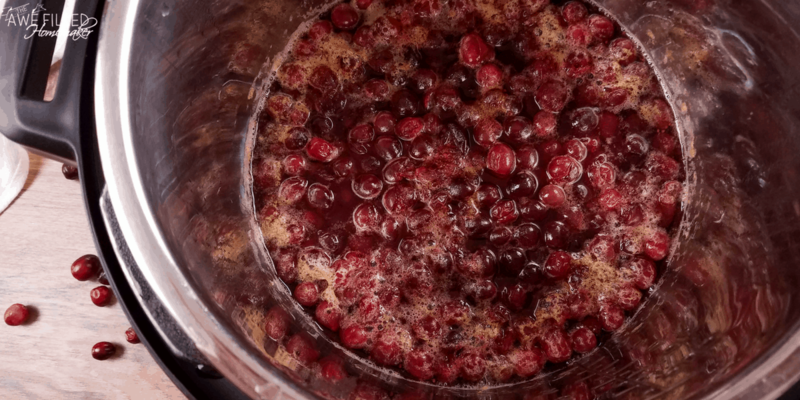 It the cranberry sauce is too thick for your preference, mix in a little of the reserved liquid until desired consistency. Let cool or serve warm. 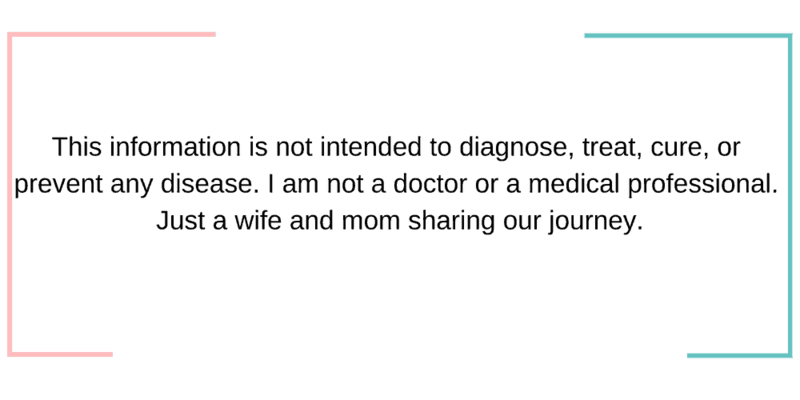 This particular recipe uses natural ingredients, including honey for the sweetener instead of artificial sweetener found in a can. 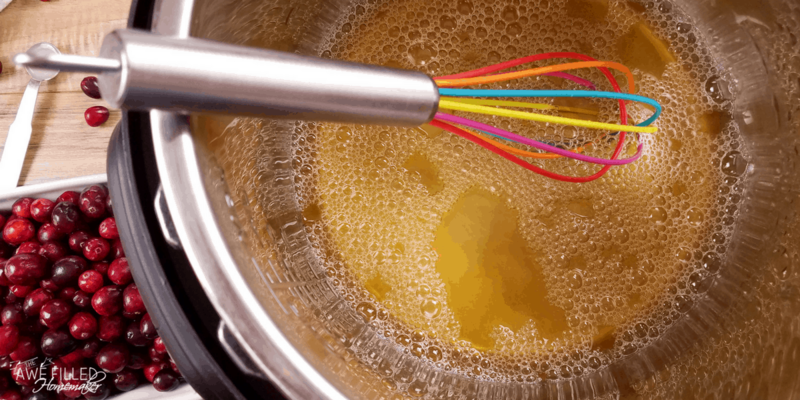 Whisk together the water, honey, and lemon juice in the Instant Pot insert until honey is dissolved. 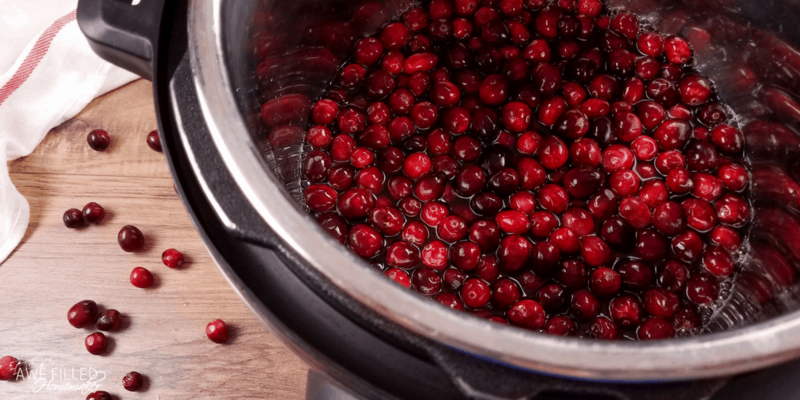 Add the cranberries to the Instant Pot. 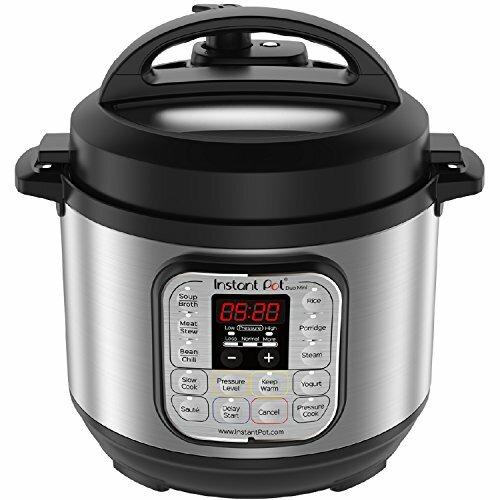 Close the lid, turn pressure valve to sealing, and cook on high pressure for 1 minute using the manual function. Let the pressure release naturally. Remove the lid and drain half the liquid, reserve liquid to add back later if desired. Mash the cranberries in the pot. It the cranberry sauce is too thick for your preference, mix in a little of the reserved liquid until desired consistency. Let cool or serve warm. Previous Post: « Semi-Homemade Stuffing With a Twist!!! !